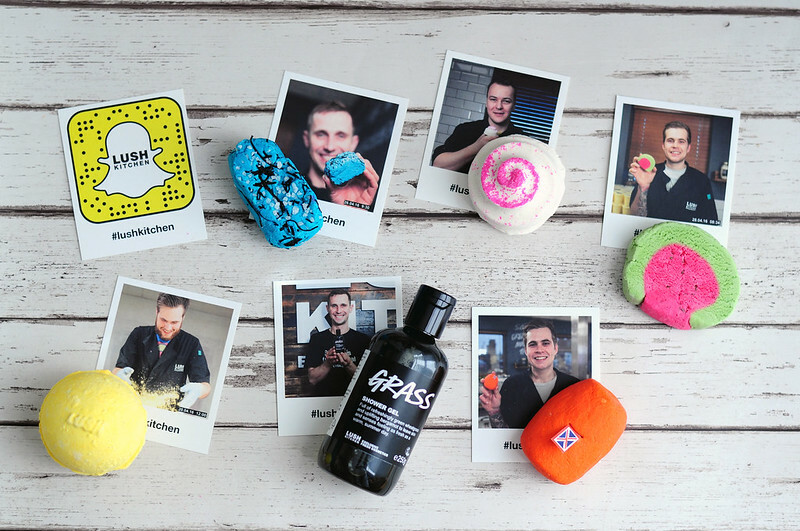 For those who don't know, the Lush Kitchen cooks up small batches of exclusive products that are only available for a limited time until they sell out. The products available are a mix of Oxford Street exclusives, old favourites that have been discontinued or one off's. Since I've tried the majority of the Lush bath bombs and bubble bars that are in the permanent collection, I've been loving the Lush Kitchen and have been making an order pretty much every week. I'm mainly interested in the bath bombs, bubble bars, bath melts and shower gels. Although there are a few products that I have bought simply because I've never tried them before. This months Kitchen was a little bit disappointing for me although I'm sure my bank balance is grateful for it. The menus were either made up of products that I had tried before or products that just didn't interest me. I mainly buy the bath products and there's been a lot of skin care on offer instead. The Kitchen have also joined Snapchat this month which I've been loving and being able to see them making all the different products. Bubbling Under Bubble Bar | £3.95 // This has been on my wish list for such a long time! It has the same scent as Big Blue Bath Bomb but in bubble bar form. I was a little bit disappointed in the size as I feel like it's a lot smaller than normal but am glad I am finally able to try it. I've heard the blue colour fades very quickly so it's one I'm going to make an effort to use straight away. Mrs Whippy Bath Bomb | £4.00 // I love the look of this bath bomb and the scent is one of my favourites, a mix of cocoa absolute, almond and buchu. It's incredibly moisturising and soothing thanks to the soya milk. It works well with The Comforter Bubble Bar if you want to put a combination together. Melonmint Bubble Bar | £3.95 // This is another one that has been on my wish list but I've actually already tried it before back when it was available through the Retro part of Lush's website. This one is spearmint and peppermint scented although you wouldn't think it from just looking at it. Lemon Day's And Ginger Beer | £3.95 // I bought this last time it was in the Kitchen and really loved the lemon and ginger scent so I've bought another one. I have a few other ginger scented products I want to use together in a bath cocktail so this will be the bath bomb element. Grass Shower Gel | £11 // I love the bubble bar version and so many people have raved about the shower gel I had to try it for myself. Grass is a mix of wheatgrass, sandalwood, bergamot and neroli. Marathon Bubble Bar | £3.95 // This was a last minute addition to my order and I had no idea what it would smell like. I love the peppermint scent which is the most potent, at least to me, but I can smell a hint of something else which I think is the benzoin and olibanum. I can't think of any other products that this will work with so I think it's one I'll have to use on it's own. I can't imagine this is perfect if you have sore muscles or even feeling blocked and stuffy from a cold. Oooooh I bet Grass smells amazing. Love the kitchen! You grabbed so lovelies there!